and Magento newsletter popup which will boost your sales, enlarge subscriber list and social media presence. Marketing Pro Package v2 is our new Magento package for all ecommerce site owners seeking to increase their marketing effectiveness. It includes three highly efficient extensions allowing you to get the most out of Newsletter Popup, Professional Banner Management System and Facebook Like Discount feature to increase your social media presence and customer loyalty. 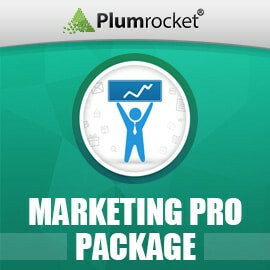 Launching my marketing campaigns with this package was smooth. We used landing pages a lot. Newsletter popup is a must to collect emails and increase conversions (so far we had almost 10K in orders from this tool) and popup login is a nice add-on to increase registrations. Thanks plumrocket! :) I'm doing my sales like a pro now! With this package launching multiple pages with sales and promotions is easier than I thought. What it gave me is a chance to bring more people to the website using login with popup and discounts for email subscriptions. I also have many settings for each product so I can set everything in the way I want. Combining the included extension in a good way. Price was convenient and it definitely worth the money spent. Recommend. Added new display methods, e.g. "On Mouse Over" and "On Click" that work according to specified "CSS Selector"
Changed popups default sorting column to "Name"
Added options "Older than 1/2/3 weeks" for newsletter popup setting "Erase Old Subscription History"